Anyone who thinks internal combustion is on its way out for good is sorely mistaken. According to Autocar, BMW’s high-performance M division is currently putting the finishing touches on a nearly all-new 3.0-liter twin-turbocharged straight-six that’ll produce a tire-melting 500 hp. And yes, this is the sixer that’ll power the upcoming new M3. 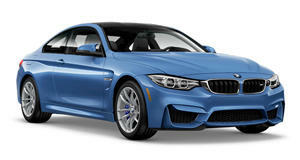 It will also be found under the hood of the first-ever M4 Gran Coupe as well as the next M4 coupe and convertible. Believe it or not, it’ll also be sourced for the next X3 M and X4 M. A detuned version will power the second-generation M2. Although this engine could be somewhat considered as a development of the automaker’s B58 engine, one M division official claims that "it is for all intents and purposes an all-new drivetrain with significant changes to the base engine that allow it to rev beyond 7,000 rpm and deliver a much higher specific output” over the current S55 engine. For comparison, that engine when equipped with water injection like it is for the M4 GTS, offers 493 hp. 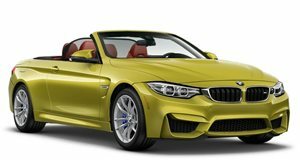 The standard M4 has 425 hp while opting for the Competition Package increases that figure to 444 hp. Aside from the desire to simply have an even greater output, BMW M engineers were keen to make the lives of their Mercedes-AMG and Audi Sport counterparts more difficult. For example, the Mercedes-AMG CS3 S coupe and Audi RS5 have 503 hp and 444 hp, respectively. Even with this increased performance, the S58 still meets all emissions standards for every global market. Because M engineers essentially started from scratch, they were able to add the necessary components to create the engine they desired. For example, you probably already noticed the single turbo twin-scroll setup is gone, replaced by two mono-scroll turbochargers. BMW M’s latest Valvetronic variable valve timing will also be found. Interestingly, water injection is absent, for now at least. Division officials hinted it’ll return for the next M3 and M4 CS. 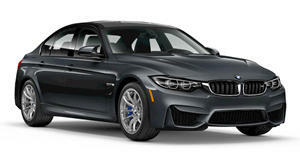 As we previously reported, the next M3 and M4 will be all-wheel-drive, which makes sense given the new engine’s output. However, rumors still persist a slightly detuned, rear-wheel-drive with a manual gearbox variant will also be sold to satisfy purists. In all likelihood, the next M3 could debut this September at the 2019 Frankfurt Motor Show. 2018 BMW M4 Convertible Test Drive Review: Best Casual M Car? In a mixmash of ingredients that shouldn't work together, BMW bakes perfection.